Last night, President Jonathan disclosed in a media chat which was broadcasted to the nation that the Federal Government is not in negotiations with the terrorists Islamic sect, Boko Haram. This comes as a surprise to many Nigerians as there have been reports from the Federal Government here, here, here, and here saying that the government is negotiating with the Islamic sect. 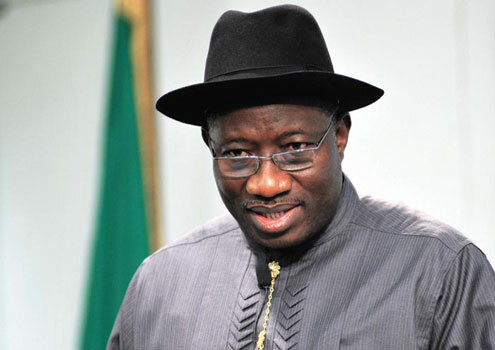 President Goodluck Jonathan, yesterday, dismissed insinuations of a secret dialogue between the administration and the Boko Haram just as he declared former President Olusegun Obasanjo’s invasion of Odi in Bayelsa State in 1999 as a failure that did not help to curb militancy in the Niger Delta region. Speaking on nationwide television media chat, the president also gave a robust defence of the administration’s fight against corruption as he set a 2014 date on the decision whether he would contest the next presidential election or not. In the two-hour broadcast session on television and radio network, President Jonathan also pledged to align himself with Nigerians if the citizens choose to retain the two-term tenure system for executive office holders. The Media Chat programme anchored by the Nigeria Television Authority, NTA’s, Kudu Abubakar had the Chairman of the Editorial Board of Vanguard, Mr. Ikeddy Isiguzo, Editor of The Guardian Mr. Martins Oloja and Gbemi Olujobi, Editor Saturday Mirror, as panelists. The President denied insinuations of the declining dominance of his party, the Peoples Democratic Party, PDP, in the country following consecutive election losses in Edo and Ondo states. He also rebuffed reports of the cancellation of the contract between the administration and Manitoba Hydro Limited for the management of the transmission lines of the Power Holding Company of Nigeria, PHCN. Questions were also drawn from Nigerians through text messages and twitter. In one of such questions where the sender said the president would go down in history as the best president if he fixes the Benin-Ore Road and solves the power problem, Dr Jonathan responded that he would be the best president. “I can give you the narrative of what led to the Odi crisis. The peak of the militancy was when 12 police officers were killed, that was cold blooded murder and that made the Federal government to now invade Odi. After that invasion, myself and the governor entered Odi, ordinarily, the governor and his deputy are not supposed to move under such situation, but we entered and saw some dead people. Most of the people that died in Odi were mostly old men, women and children, none of the militants was killed. “I plead with journalists; it is too early to ask a sitting president whether or not he will contest elections and this is one of the reasons we agitated for this single tenure issue. Because if a president tells you today that he is contesting election, it will generate a lot of issues. If I say I am not contesting election, my cabinet members will easily resign and go because all of them are qualified to contest that position. “There is a four-year tenure which is quite short if you look at the African scenario. Most other African countries have six years and some seven years. Four years is very short time for a president to make an impact. Immediately you start talking about elections, you get diverted, give us time. Before you ask Mr. President whether he will contest or not, give me time. I don’t want to distract members of my cabinet. “It is even dangerous for this country if PDP, for example, should control all the states. Then there is no democracy and that is one of the challenges that we have conducting PDP primaries, because in some states, you look at the primaries as the election before the election. Immediately you secure the PDP ticket, you are already the governor, it is not in the best interest of this country. “The PDP worked very hard, the PDP got second position in Ondo election and in some of them, the difference was quite narrow. Except for Imo State, in Ondo and Edo states that you mentioned, we contested against incumbent governors. On the issue of graft, President Jonathan said his administration’s major imprints in the battle against corruption had been positive, noting that the battle was started by attacking electoral corruption which he noted was the mother of all corruption. “We decided to sanitise the electoral system, dealing with corruption associated with the electoral process. In most cases, people manipulate themselves into office; state governors, local government chairmen and others manipulate themselves into offices without being voted for, thereby posing as problems for the country. “We are aware that dealing with corruption associated with the electoral process will ensure that corruption is dealt with totally. “We have done very well on various fronts in terms of fighting corruption. We have sanitized the fertilizer subsidy process; we have tried in sanitizing the electoral process; we have now started the audit of the oil sector, pointing to the fact that we are in the process of sanitizing the sector. “If you ask the average Nigerian, they will say it is all because of corruption, and that because of corruption that is why there is a pot hole somewhere and that accidents are caused by corruption. We just believe that everything is caused by corruption. The retreat we conducted and are applying to do certain things including correctional orders, you will be surprised that most people who voted, gave corruption less than 20 per cent. Asked if the contract with Manitoba has been cancelled, the president said: ”Manitoba’s contract has not been revoked. There were some issues raised because of misunderstanding. In 2006 when privatization started, Manitoba and others also bidded and as that time the BPE that handled the whole transaction noticed that there were some confusion and they placed procurement of Manitoba as a consultant to manage our transmission and set the process the proces of the privatization. “The companies that qualify technically will now go into the financial round. President Jonathan also said that the present fuel crisis across the country would be resolved only if private investors were attracted to build refineries in the country. He said the administration was working towards adopting the Canadian model. According to him Canada has 16 refineries owned by private individuals, but managed under a deregulated system. He maintained that for the private sector to be encouraged to invest in building refineries, the issue of subsidy must be resolved. “For those people who have been given licenses to build refineries do so, the government must be seen to resolve the issue of subsidy, as people will be concerned about what gets to them after investing huge resources in that venture,” he stated. He appealed to Nigerians to exercise patience and bear with the government, saying that the government has commenced the process of sanitizing the oil industry and that when the process is completed, the issue of fuel scarcity will be addressed.